Welding Transformer Machine is a very profitable business option for Small Business. With Welding Transformer Machine, you may make the grill of doors and windows, iron gates, iron ulmirah etc. or you may use it in your factory also. At first you have to buy iron rod, iron plates etc. Then you have to cut these rods or plates with Cutting Machine as required. Now you have to join these pieces according to the design with Welding Transformer Machine. At the end you have to add colour with Compressor Machine. 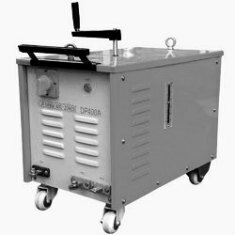 To operate the Welding Transformer Machine you need 220 to 440 volt. You can find many companies manufacturing a wide range of Welding Transformer Machine. Their machine matches high technology electronic control.